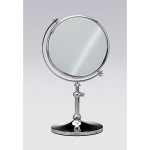 A sensible piece for a decorative or contemporary master bathroom, this free standing cosmetic mirror is the perfect option. 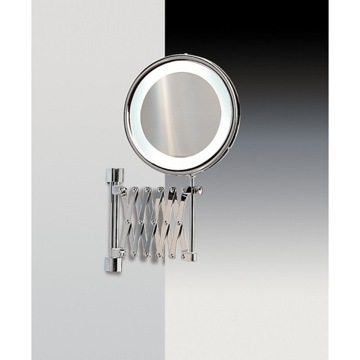 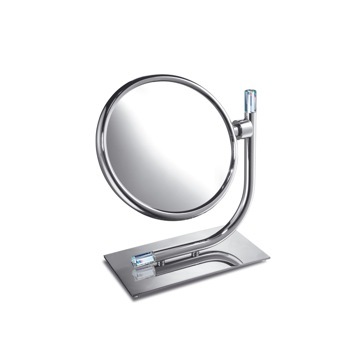 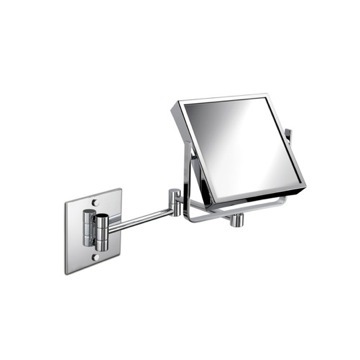 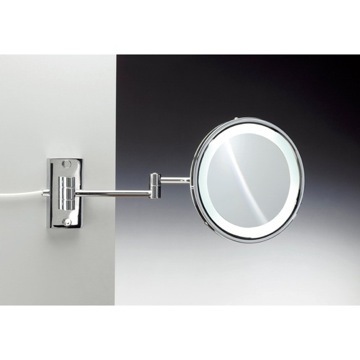 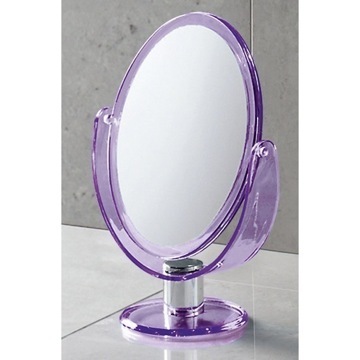 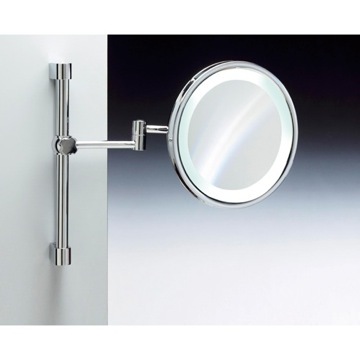 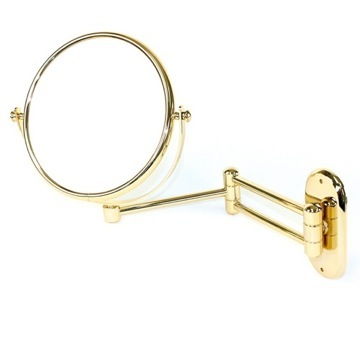 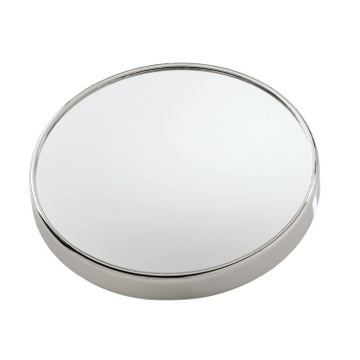 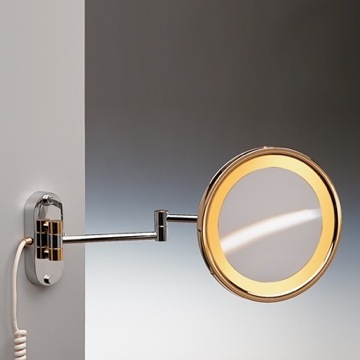 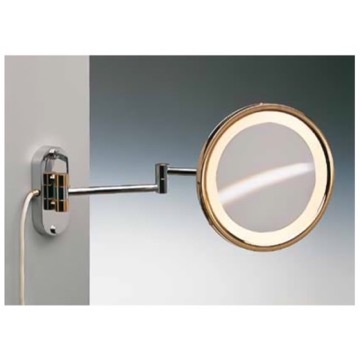 Imported from Spain with high quality brass and available in chrome, gold, or chrome and gold, this 3x magnification mirror slides right into your bathroom and instantly adds style and function to it. 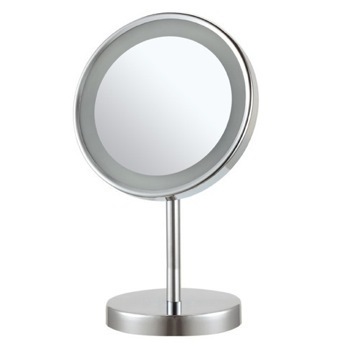 A sensible piece for a decorative or contemporary master bathroom, this free standing cosmetic mirror is the perfect option. 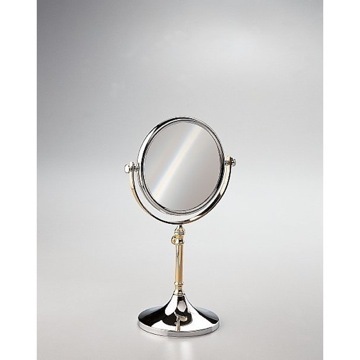 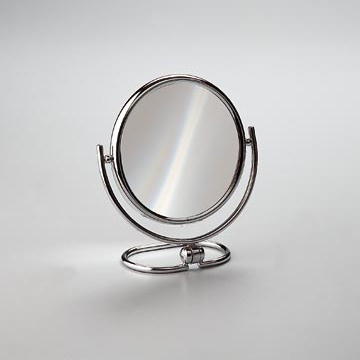 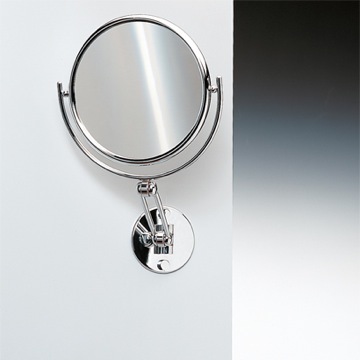 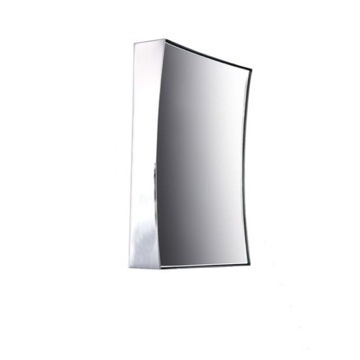 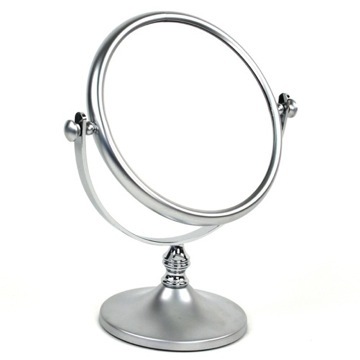 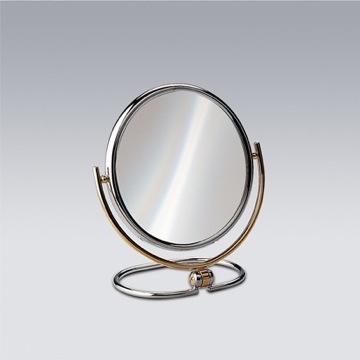 Imported from spain with high quality brass and available in chrome, gold, or chrome and gold, this magnified mirror is part of the Windisch Stand Mirrors collection.